Women all over the world are dreaming and praying about their “Knight in Shining Armor”. However, how many of these women are truly taking the time to get to know their potential knight? Many women fall head over heels for a man based on emotion or a need to gain something. Thus, it is extremely important that emotions and selfish desires are not a decision-making tool when getting to know a man. Now, before I begin to discuss red flags, I want to make it clear that I am not a fan of fault-finding. However, I am a fan of allowing people to be human. When you allow people to be human, you develop realistic expectations that foster healthy relationship development. When getting to know someone, you have to realize everyone is deeply flawed and no one is going to be perfect, but they may be perfect for you. You have to know your common values and what you stand for to truly know what you need versus what you want. Everything a man says, does (or doesn’t do), and the things from his past are a part of getting to know him… the good and the bad. Please note: a red flag does not mean you run, but it does mean you avoid a serious courtship. 1. 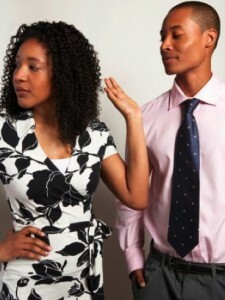 Lack of respect – It is definitely a cause for concern if a man shows a lack of respect for you. Anything you decide is not for you should be respected by him. 2. Rushing to wine and dine you – I know a lot of you will not think this is a cause for concern, but it is. If he is rushing to wine and dine you, he is doing it because he is after something. A man with pure motives is not in a hurry to do anything but wait. He will take his time getting to know you. Adore a man who takes his time and don’t allow your emotions to cloud this truth. 3. Excess – Going overboard in his attempt to charm you. 4. Low expectations – He has limited or no expectations of you. A man who is interested in you for the right reasons expects you to bring something to his life. He is not looking for a trophy or someone to control, but a woman to be an important part of his growth, life and purpose. 5. Drug or alcohol abuse – I don’t drink or do drugs at all, but what we are talking about here is someone who can’t have fun without drinking and has an obvious drug or alcohol problem. Although you cannot have a healthy relationship under these conditions, it would not hurt to suggest help in a tactful way. 7. Control – A man with control issues is trying to resolve a deep-rooted wound from his lack of being affirmed in love as a child. Just like anger, control issues are a cry for help. “If someone is more like me they will not hurt me” is often the voice a controlling person hears in their head. 8. Dishonesty – Truth is important because it gives you a choice. When people lie it takes away your choice. 9. Selfishness – People who are selfish should never attempt relationships because, unless they change, their relationships will fail. The opposite of selfishness is love. Love is the direct polar opposite of how selfishness operates. Love gives, but selfishness takes. 11. Poor past behavior – Be aware of patterns of past behaviors. Ask about his past relationships. The message on “early red flags”, has impacted me deep into my soul! After an eleven year failed marriage, and a million dollar bankruptcy! TODAY, I accept full responsibility for my actions! TODAY, I’ve chose to address my deepest, inner-most, darkest dysfunction’s, and submit to GODS WILL! Thank You for writing, TRUTH! I will be the MaN GoD has intended for me to be! Shout out to “E”! Even after I broke her heart and took her LoVe for granted, she shared a message & hurt that will forever impact my thought process and actions! Praise GoD along this journey we share called LiFe! That is truly AWESOME may God continue to Bless you and bring you FULL deliverance. I am very proud of you Floyd! Continue to seek your healing and allow God to continue to work on you Brother. I agree with the article but my recent relationship is totally moving too slow. Sometimes, too slow may mean that he is not that into you or he is still fishing. There should be some physical affection such as a kiss not only the forehead or a cheek. @Denise…no such thing as too slow. This means you are wanting the relationship to go they way you want to. Thus, you may have different expectations than who you are with. You should openly discuss the direction of the relationship and the fact you currently don’t know may be an indication you both are not on the same page. He maybe seeking friendship etc or simply taking his time to get to know you. @denise commented “too slow”. I recently explained to a someone that I’m getting to know the following. My next relationship will develop into holy matrimony. I respect her and did not want to jeopardize what could be…. If I do things the right way. For example, closing one door before opening another. This increases our odds for success. Although I’m strongly attracted to her, I discovered a new self empowerment. He may be preparing himself. I have a question.Why is it a red flag if a woman has more male friends that female friends but it is not a red flag for men who have more female friends that male? @Sagie it’s a read flag both ways….I gave the reason in the article. There should be a class for that. I am currently in a relationship (been together 13 years, married for 6 months) who is showing 4 of the 11 signs, and more others. We have got 3 children together, and financially I am not able to stand on my own with my children…..any advice? Talking doesn’t help. I think you pray, continue to talk, look for ways to increase income, seek out help from others , marriage counseling , and work on improving who you are in every way…..13 years is a lot of time to invest in someone before getting married ,so most likely they are a lot of deep rooted is in this relationship made harder to overcome because they were never dealt with in the past. One day at a time to undo what began the problems…..
Hello Mr.McCall!!! I’m in a similar situation as Ms. Pam. I understand the whole “allowing a person to be human”, I’m not saying I am a perfect being, Lord knows I’m a work in progress. What can I do to get my husband to communicate about the past, so we can move on? When I bring up the issue, he will cut me off and say ‘let the past stay in the past’. Every disagreement or loud conversation we have is about the past. Our relationship is so wacky, I feel as though we are roommates with children. I suggested marriage counseling, he asked about the fee. I told him about free services, he asked me where did I get info. I’ll just leave it alone. A couple of months ago he apologized saying that he just found out how to be a husband. Really!! !